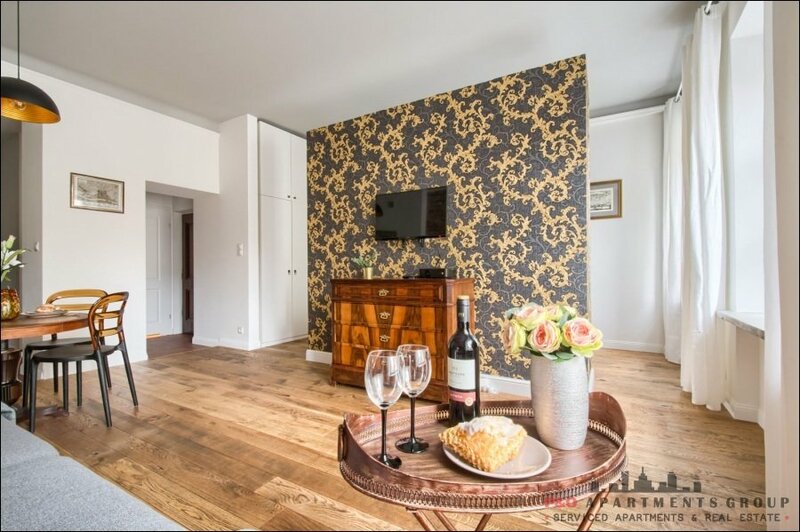 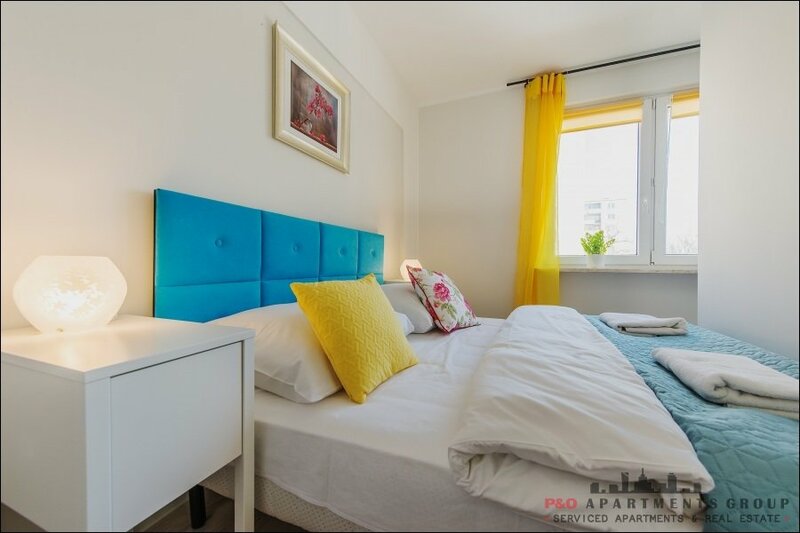 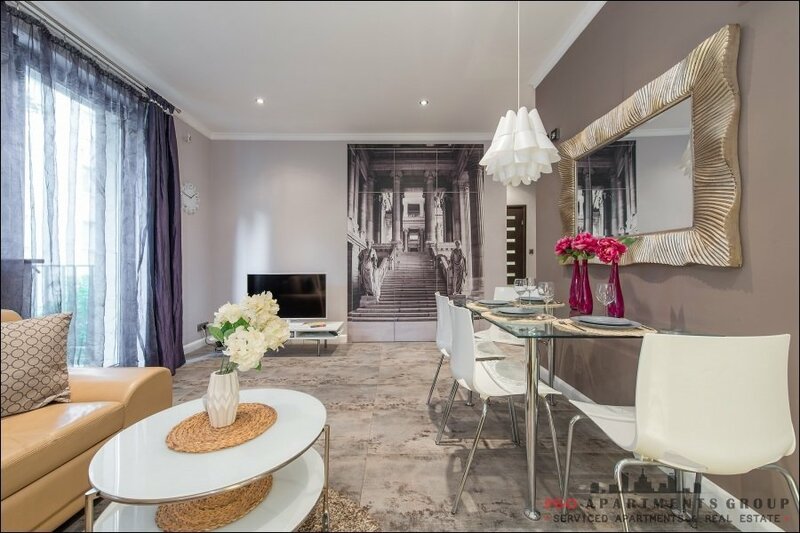 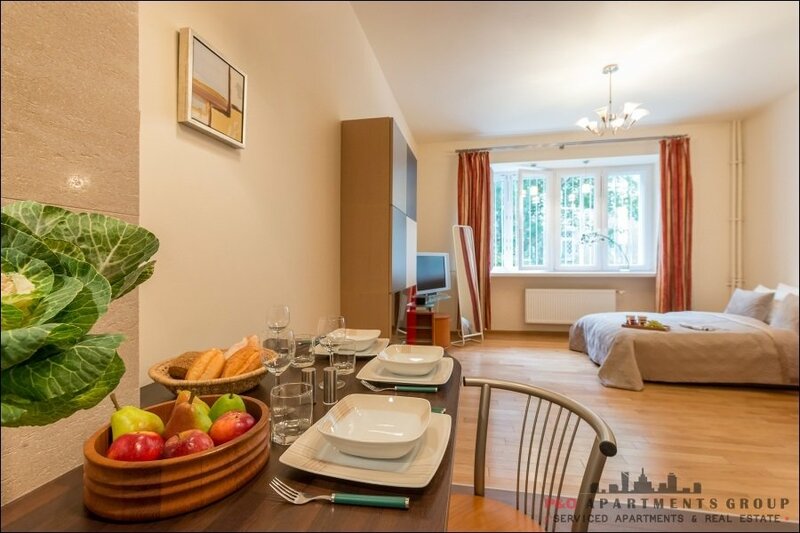 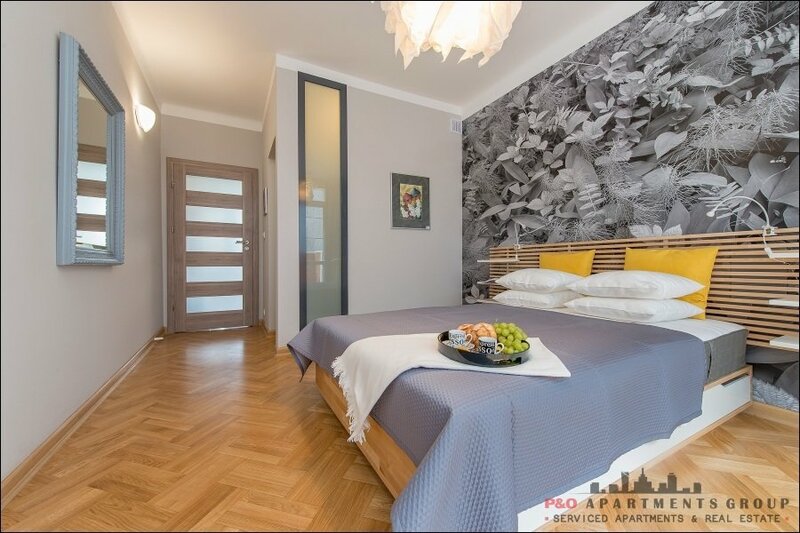 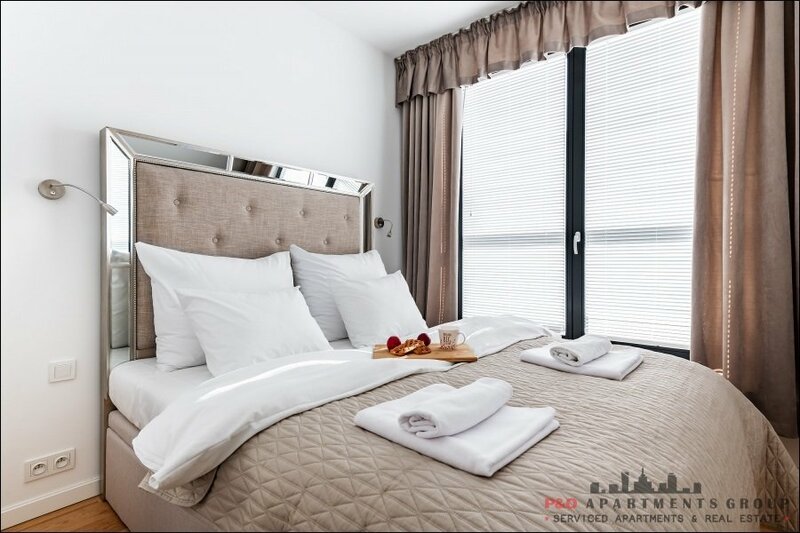 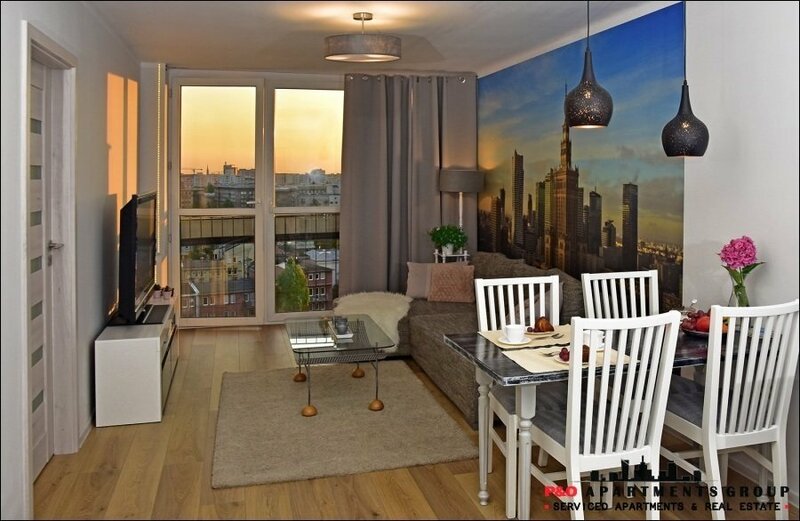 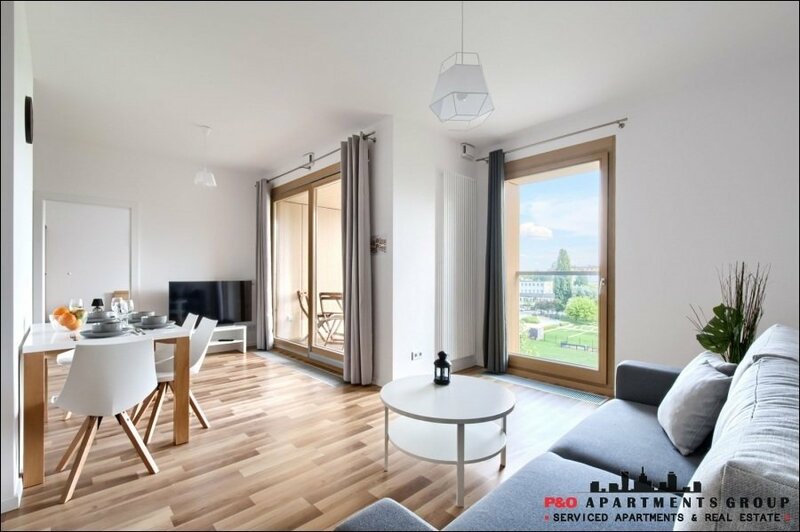 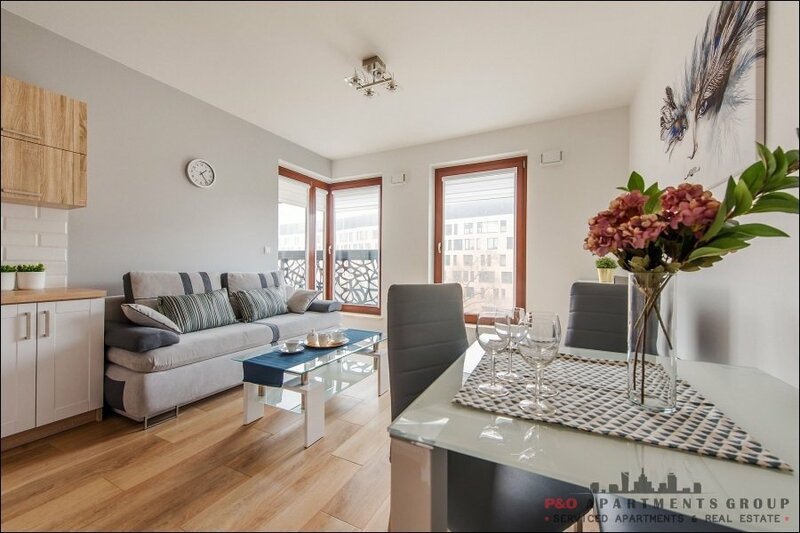 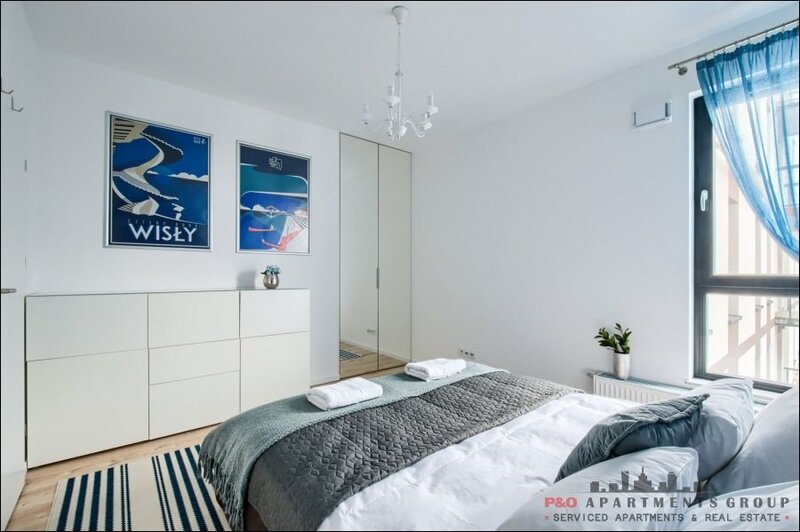 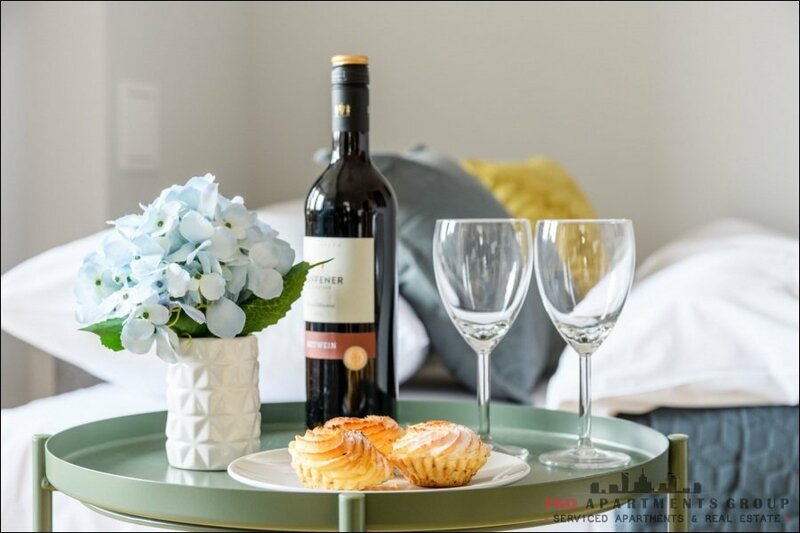 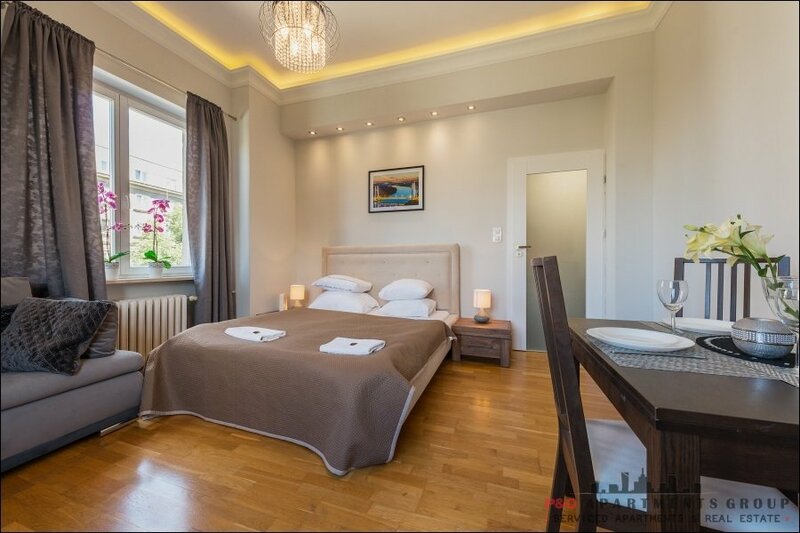 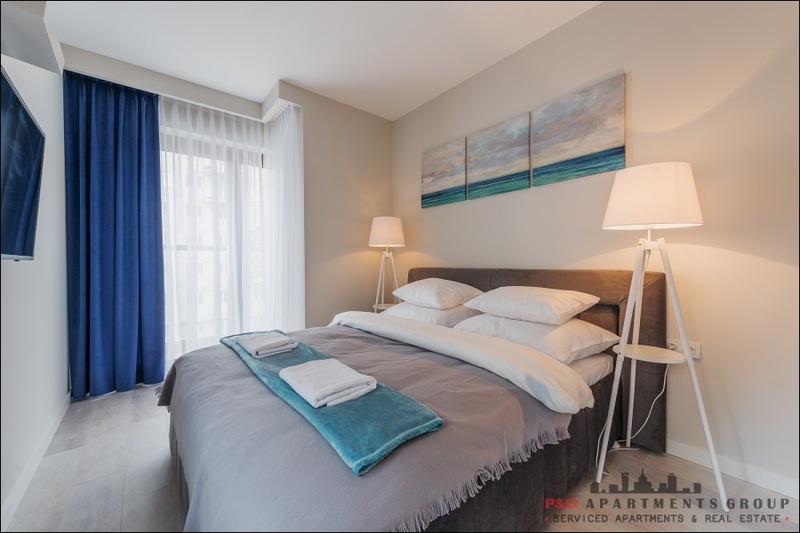 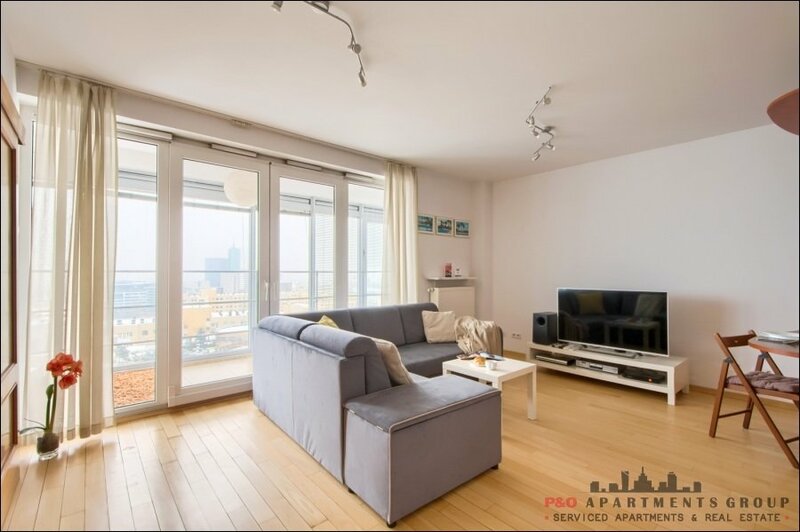 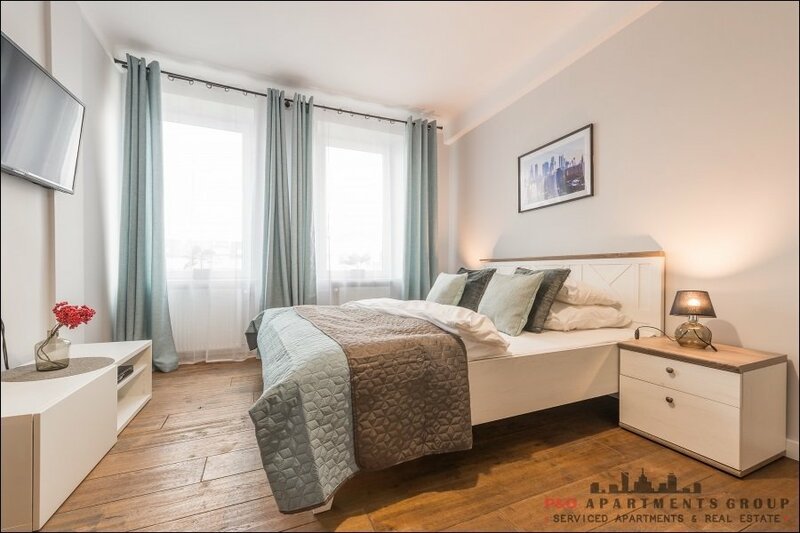 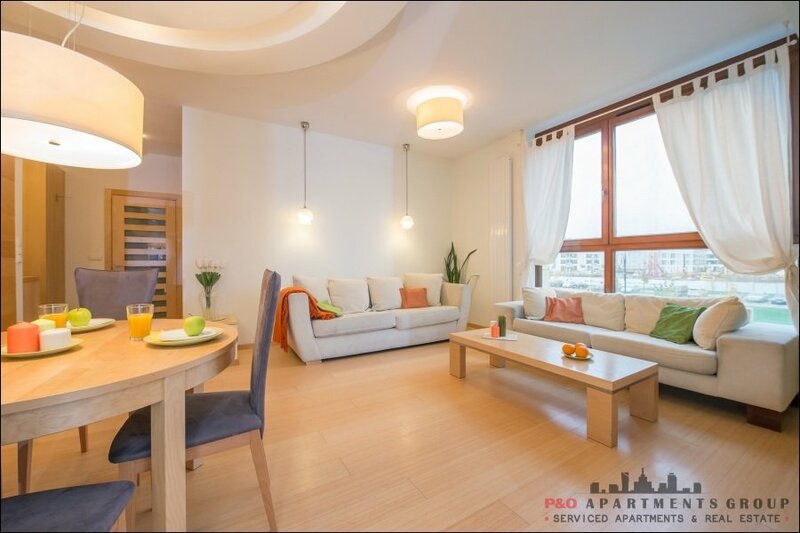 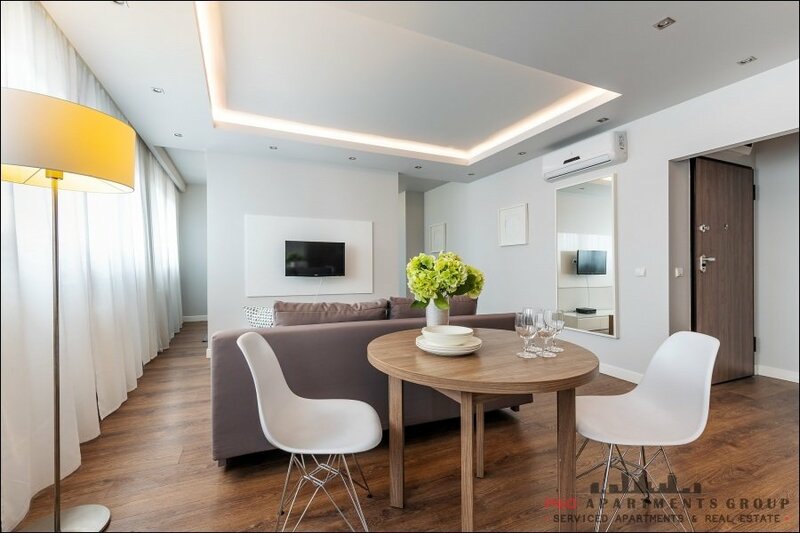 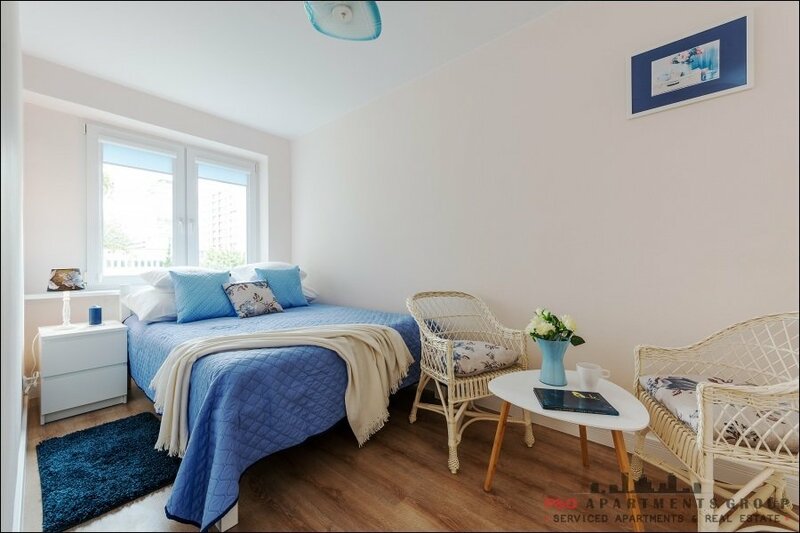 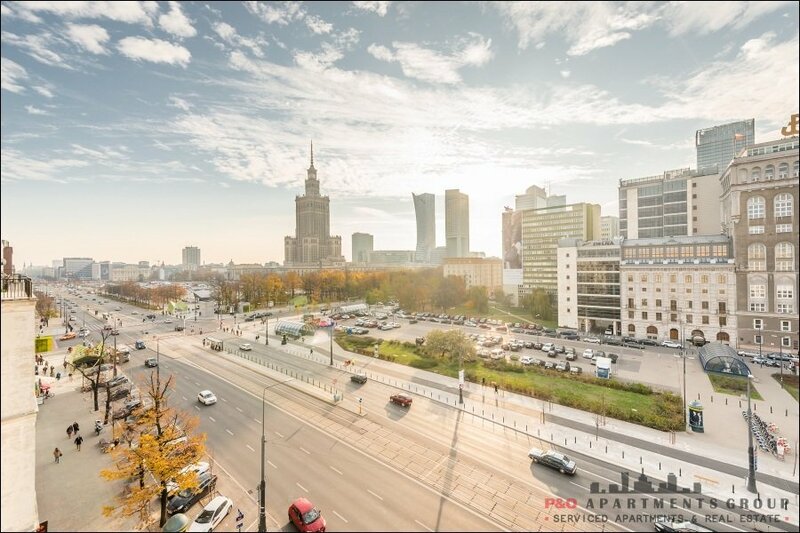 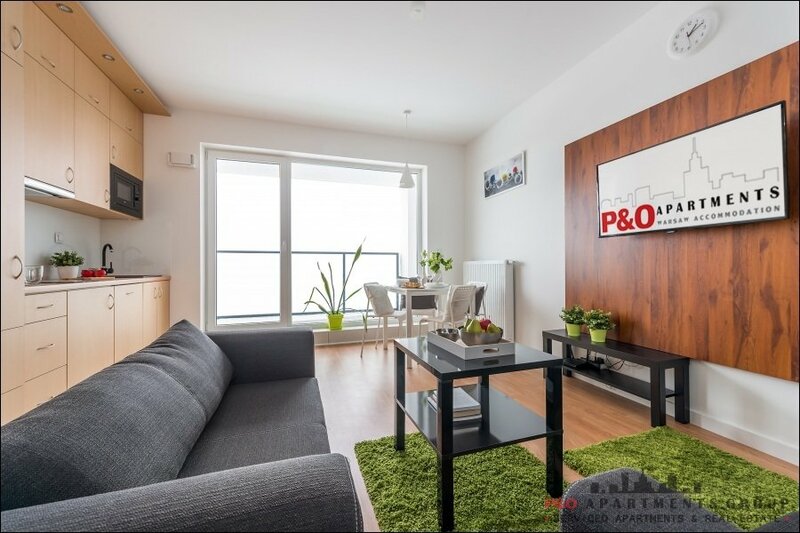 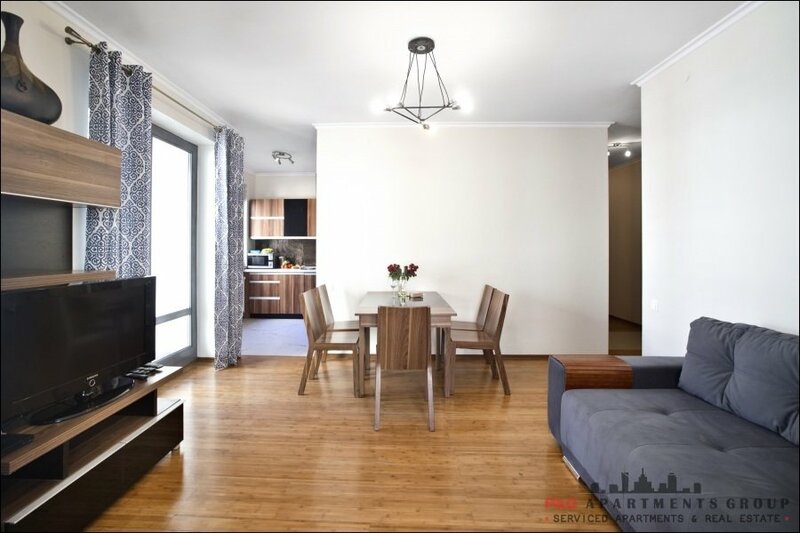 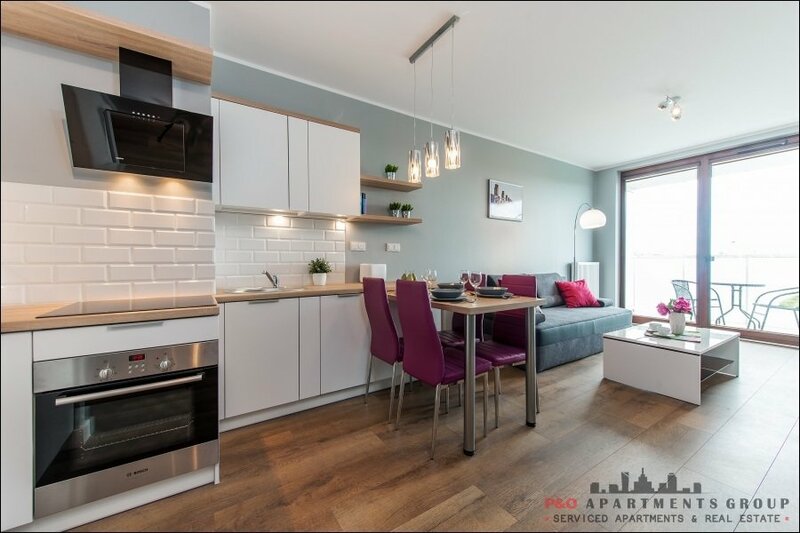 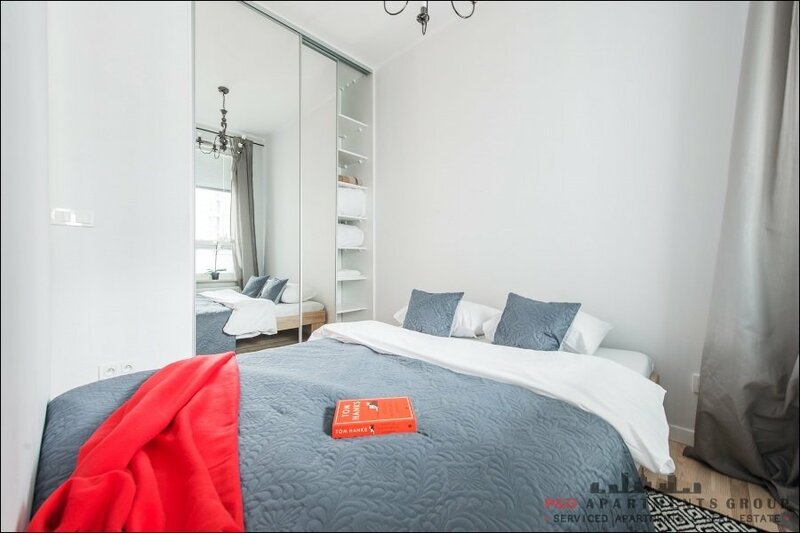 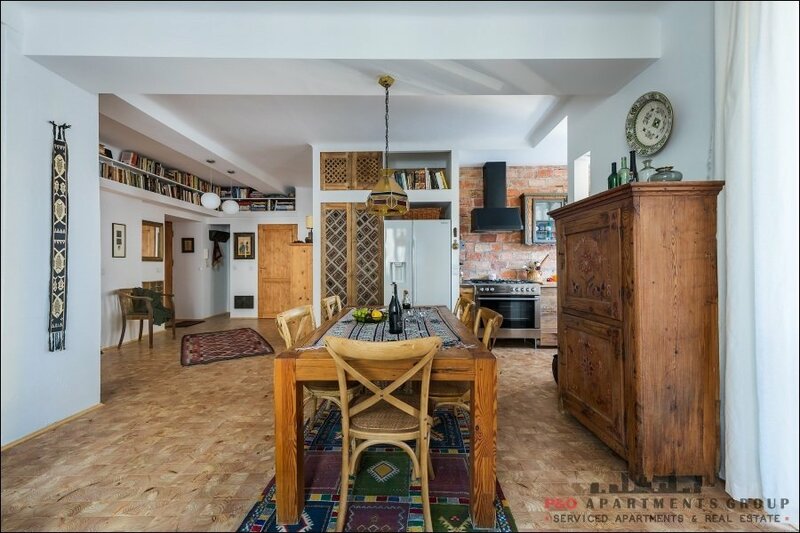 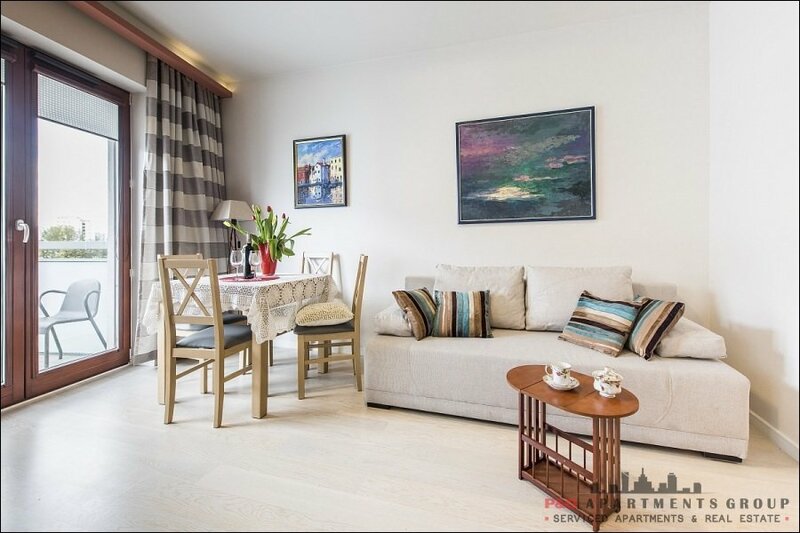 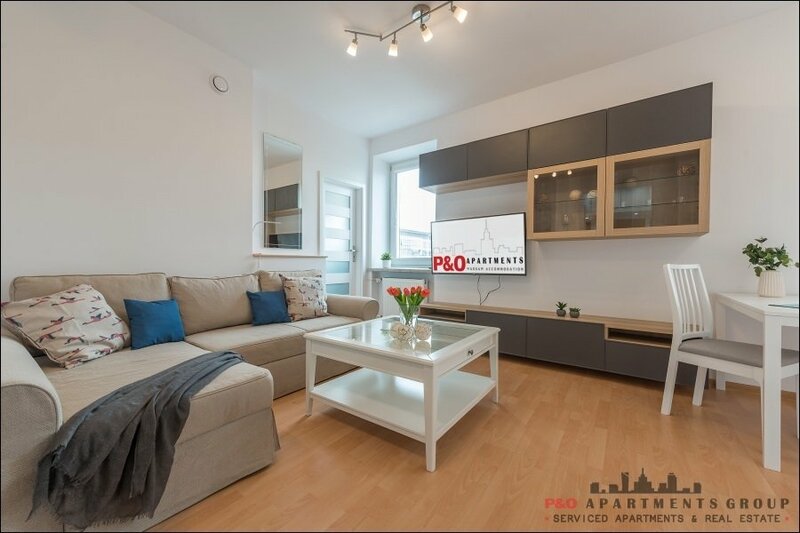 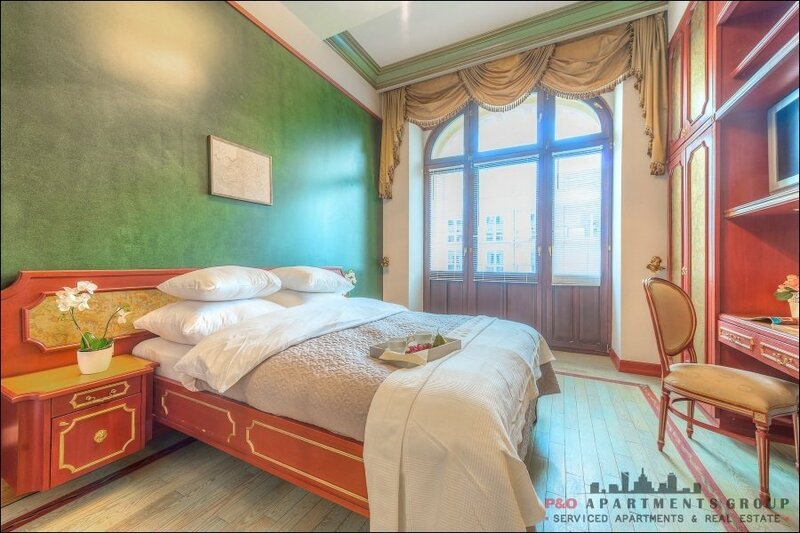 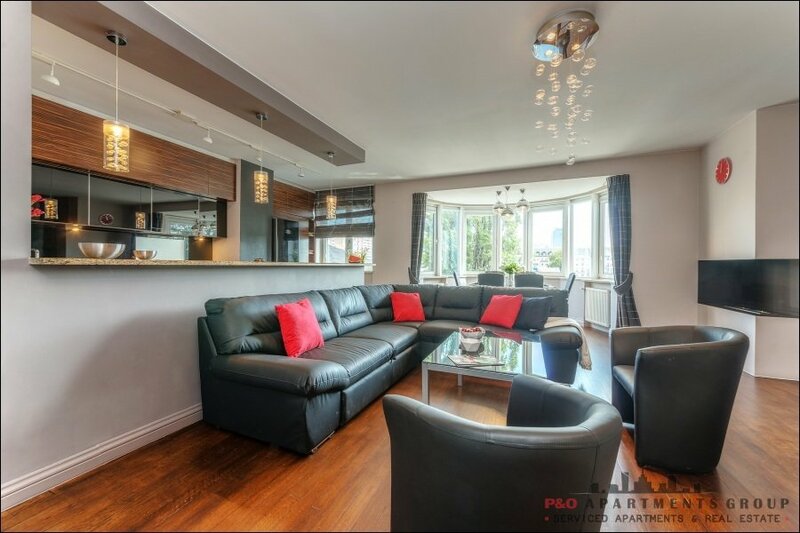 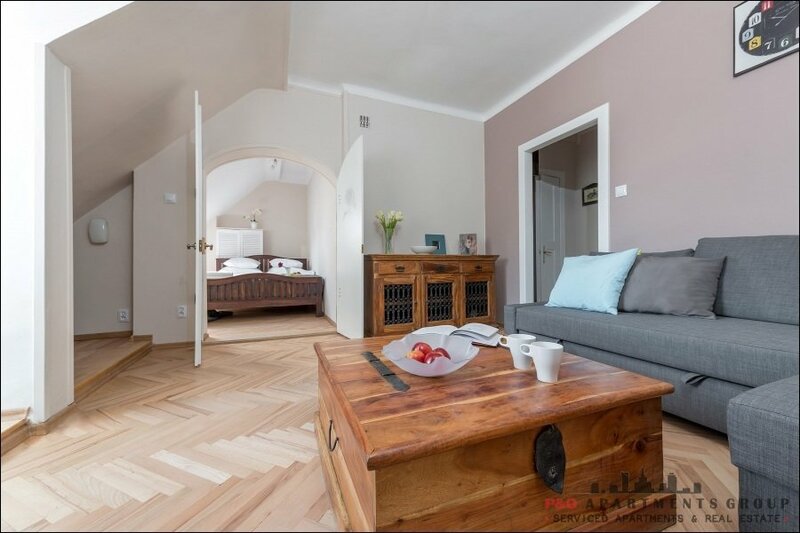 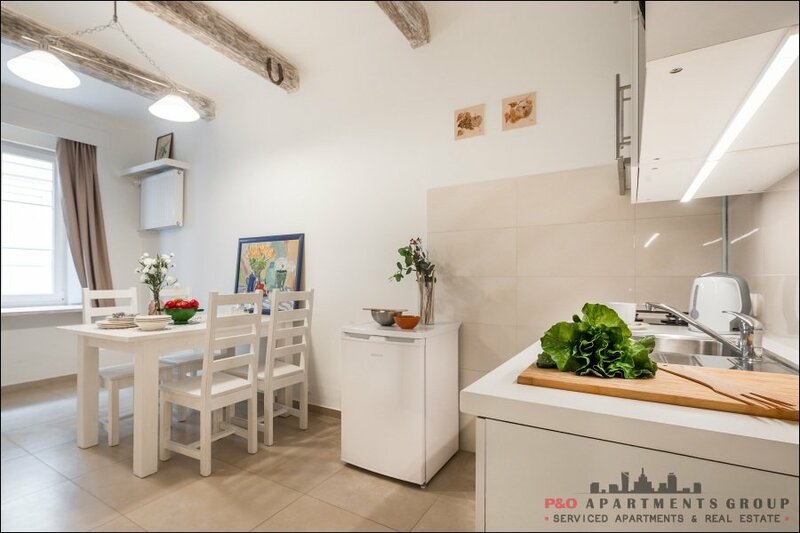 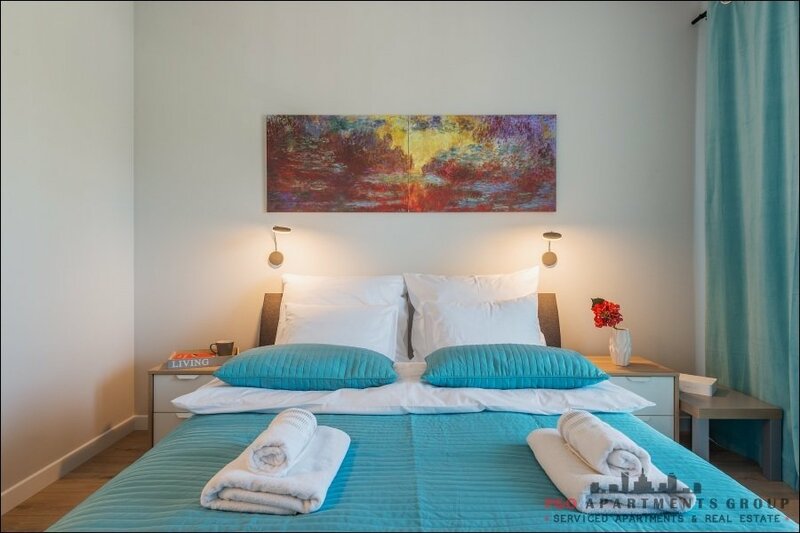 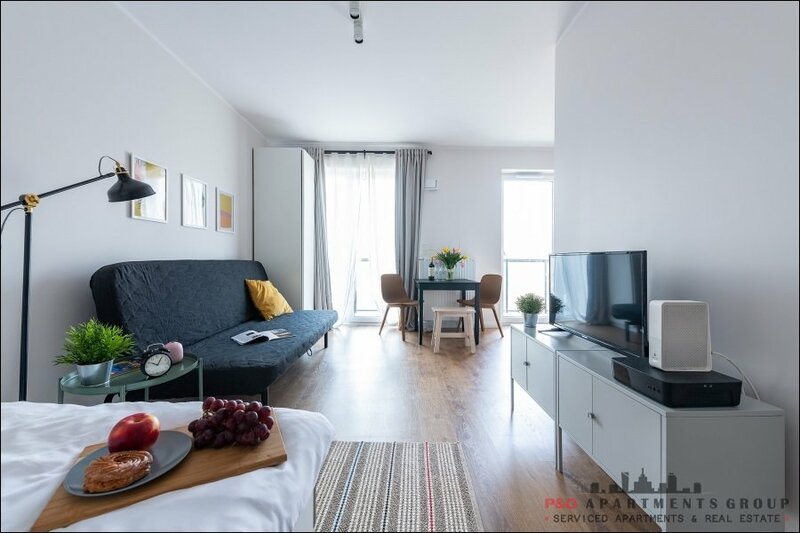 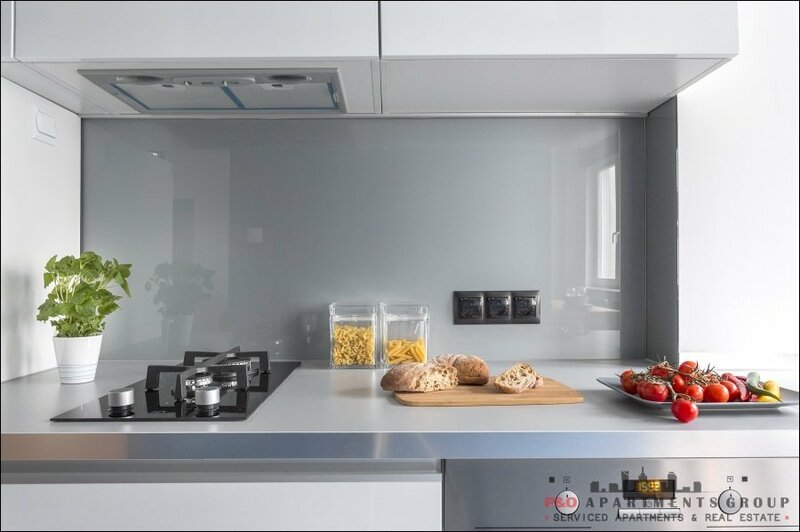 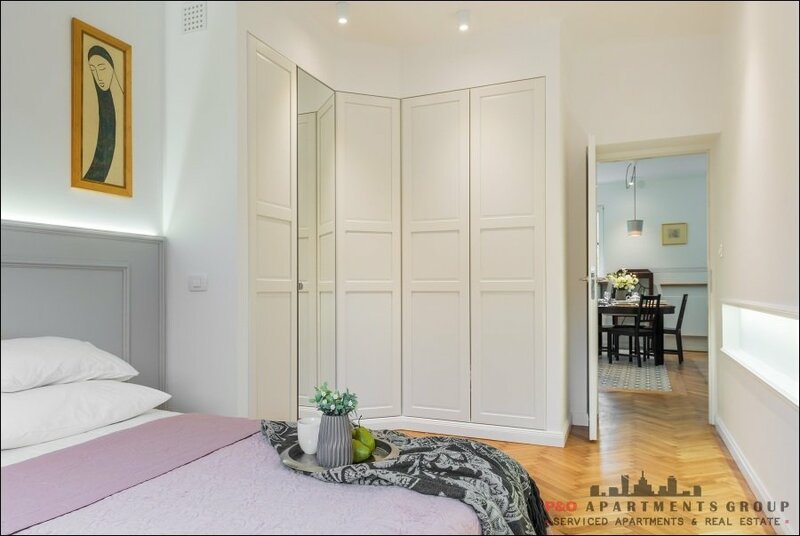 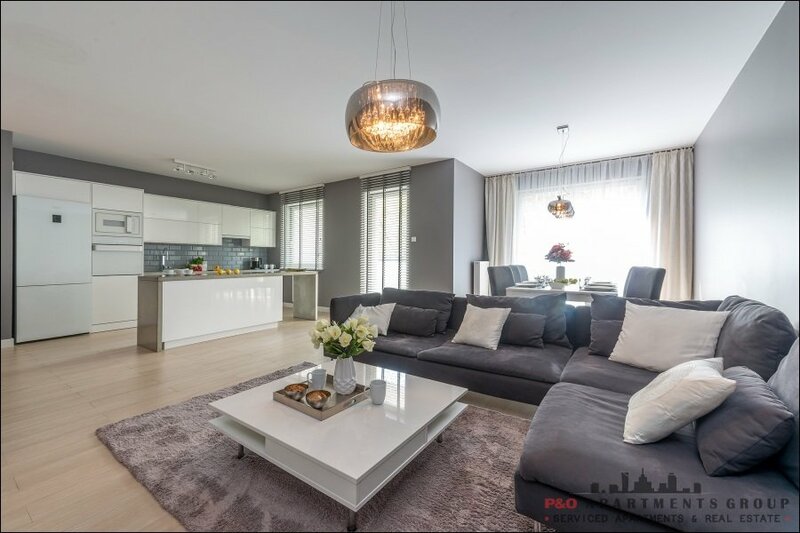 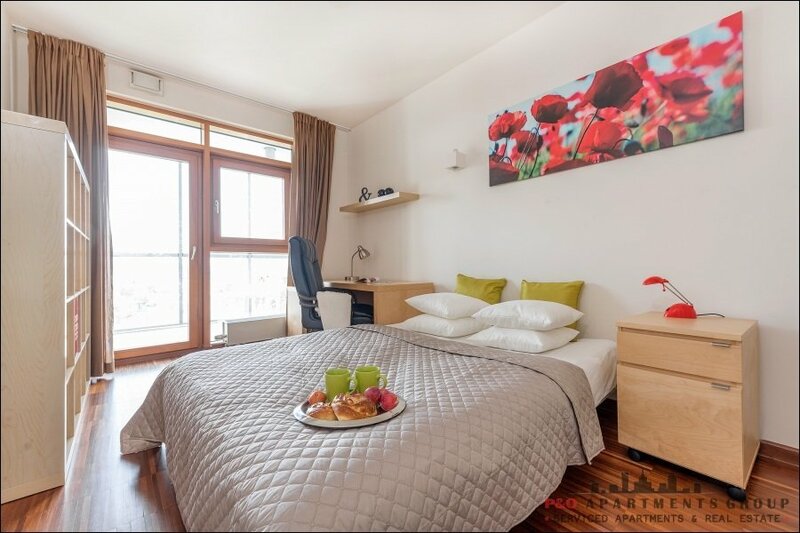 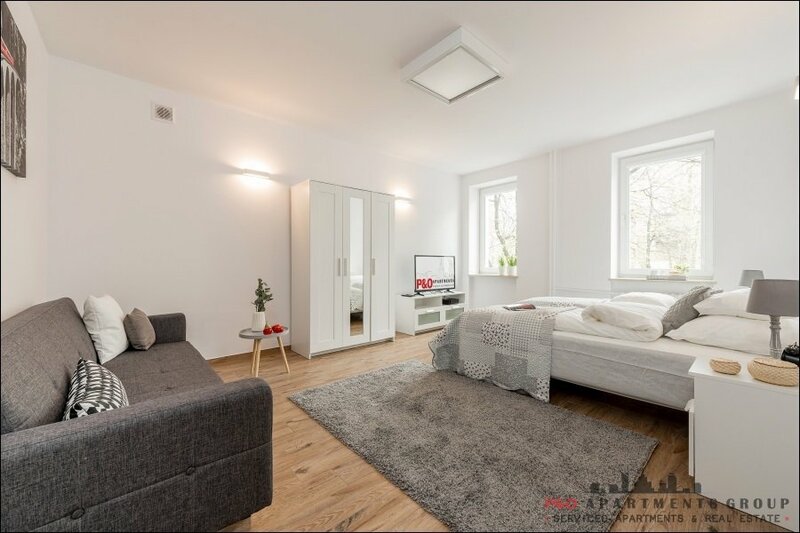 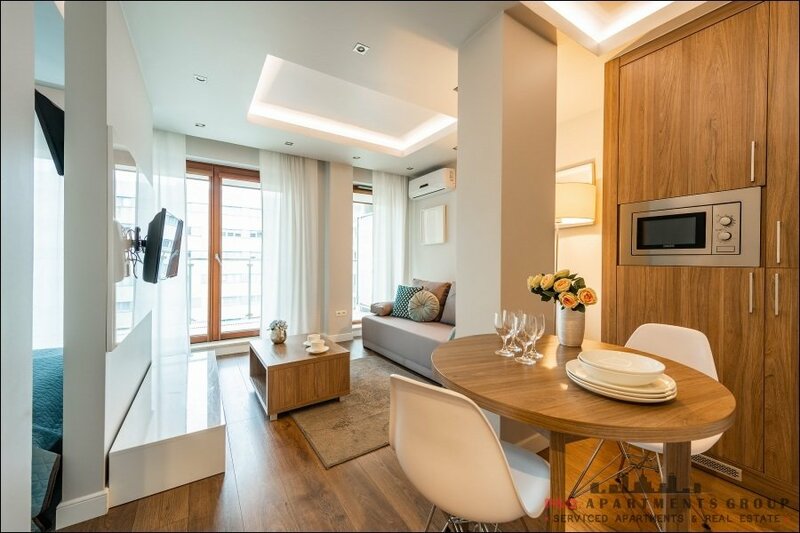 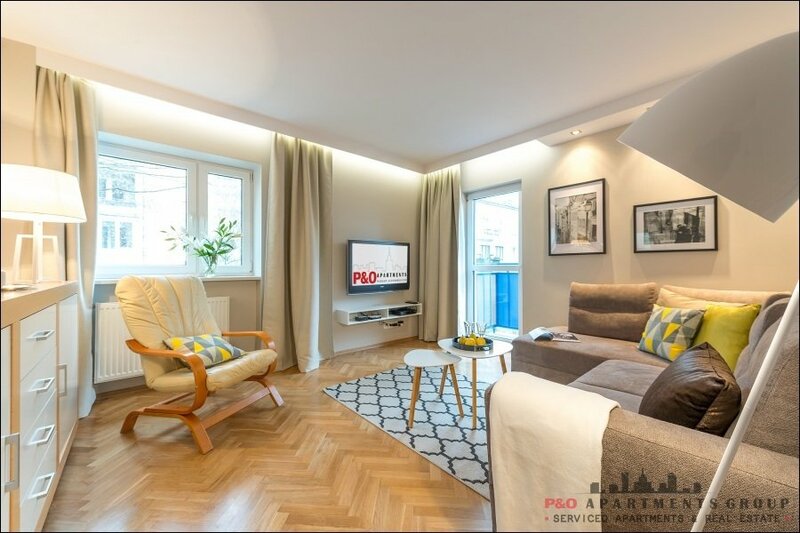 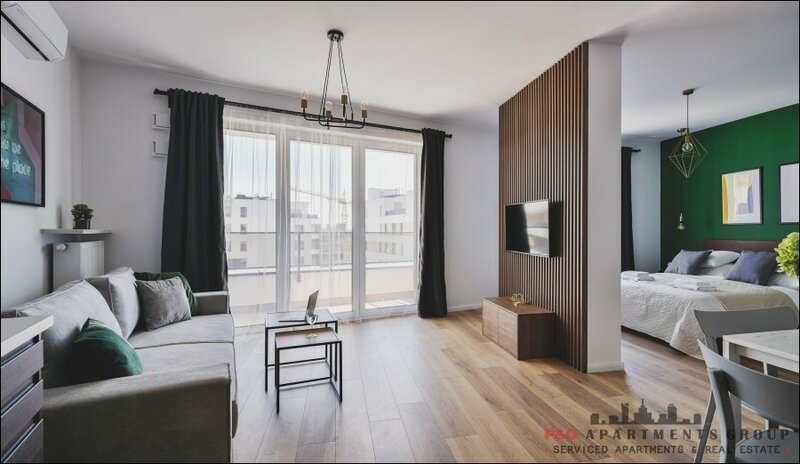 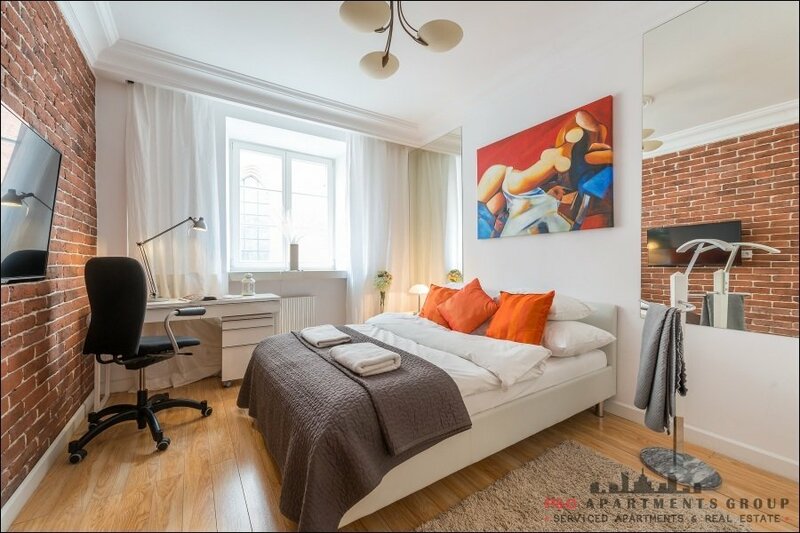 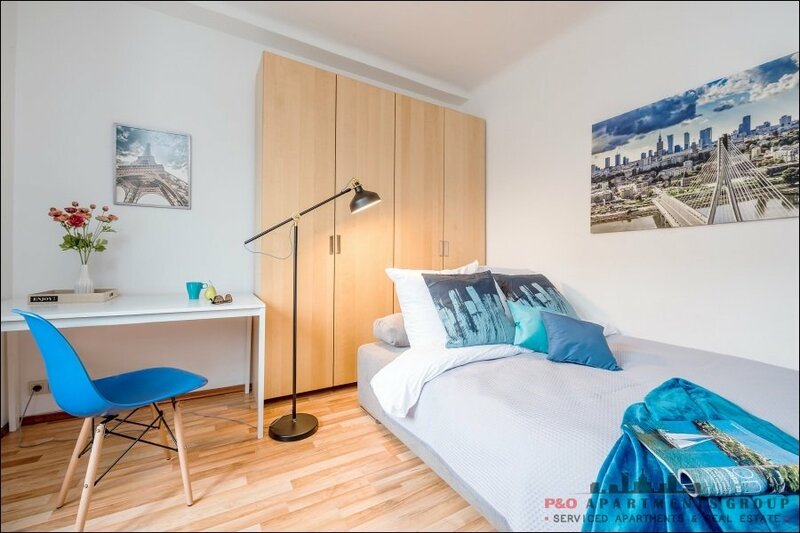 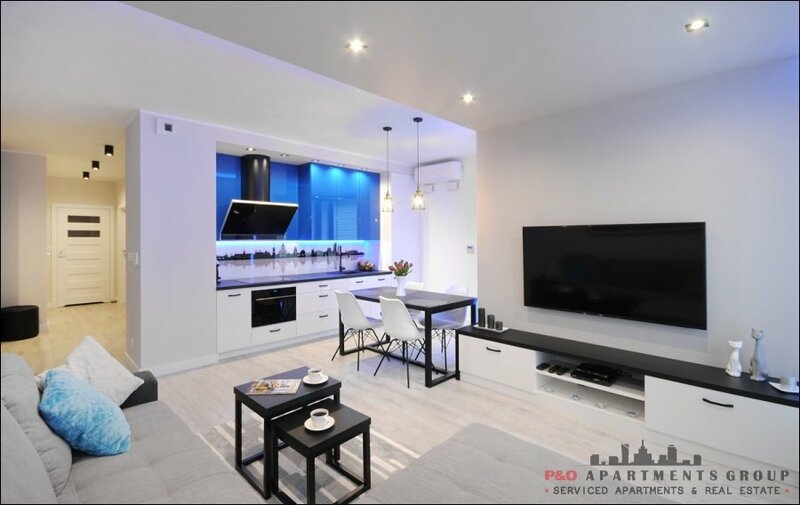 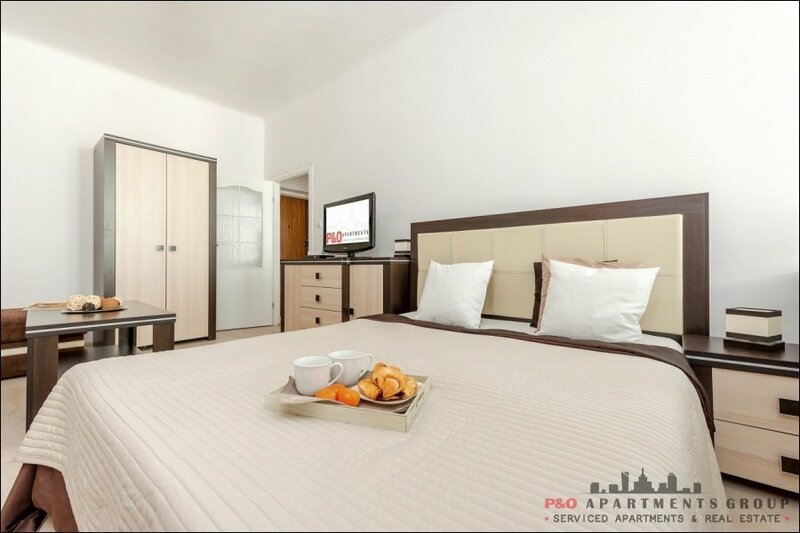 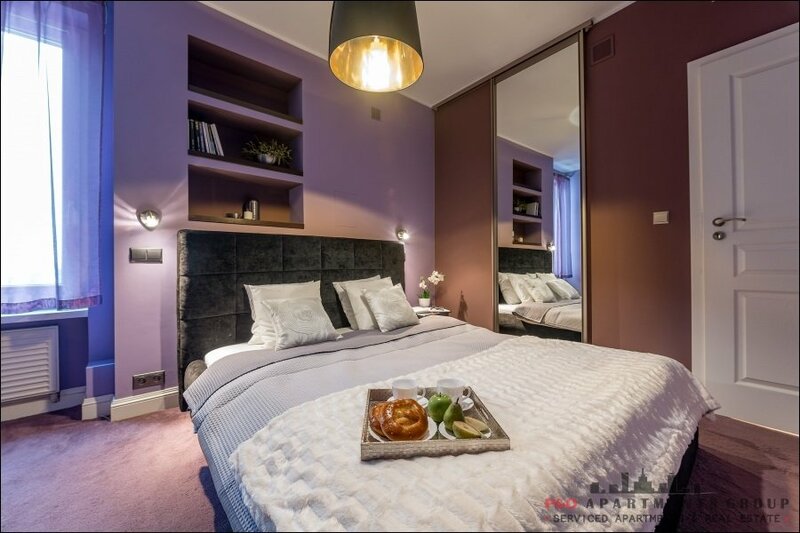 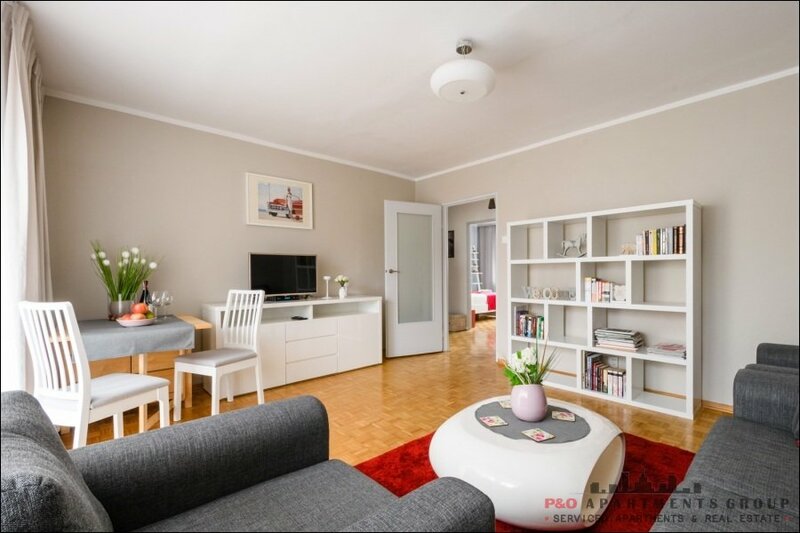 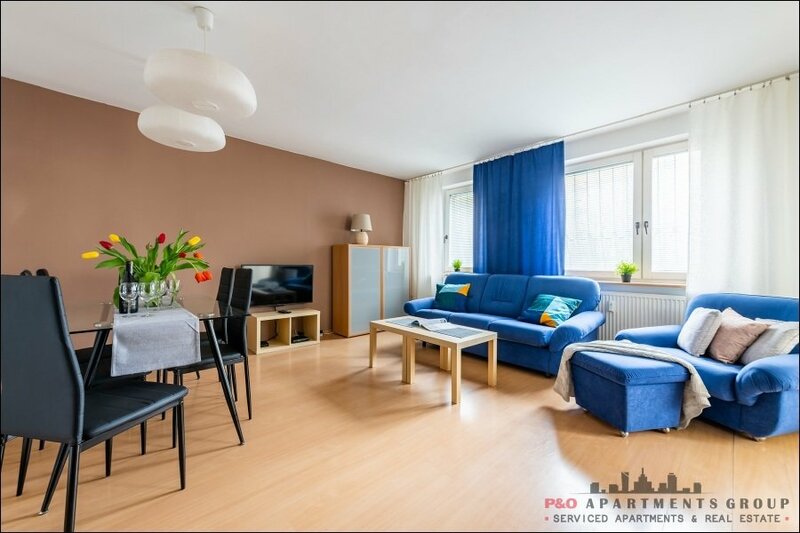 Luxurious and elegant apartment located next to the Concept Tower, near Warsaw Uprising Museum and SkyscraperCity. 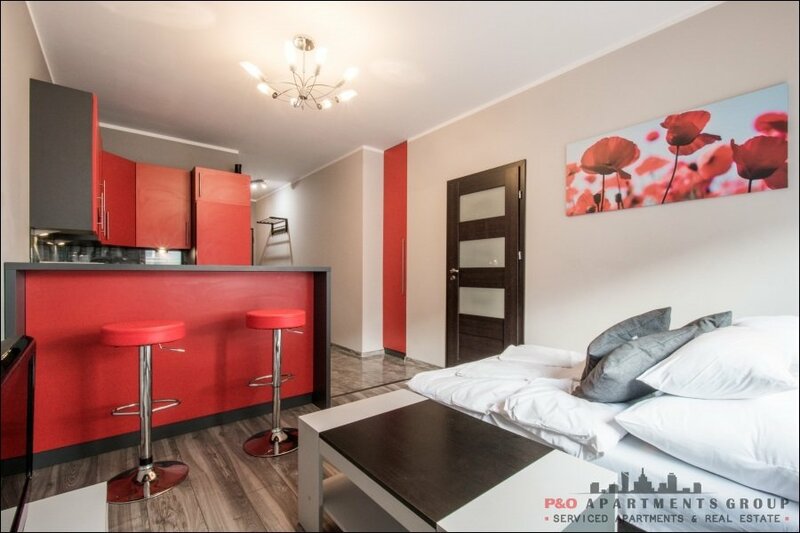 Located on the 6th floor (building has a lift) within the InCity complex at Siedmiogrodzka Street (another entrance possible from Giełdowa Street, where the entrance to the underground parking is). 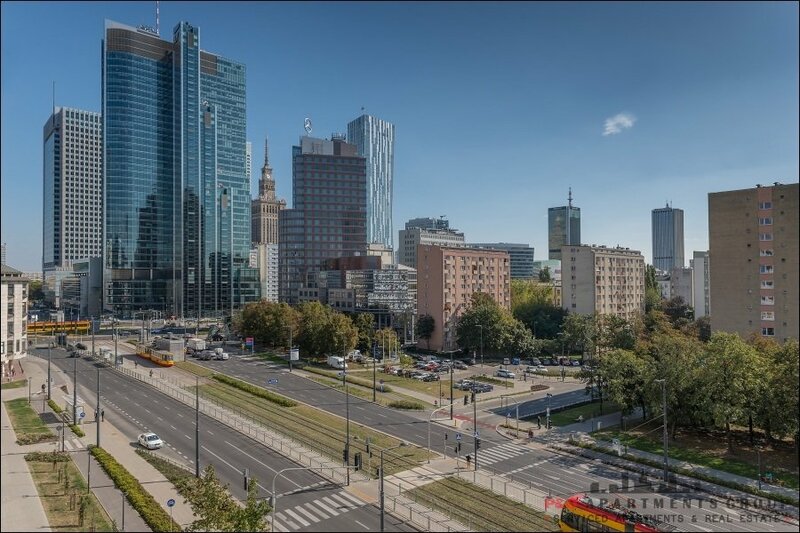 The complex of buildings have a 24/7 security and 2 points of reception. 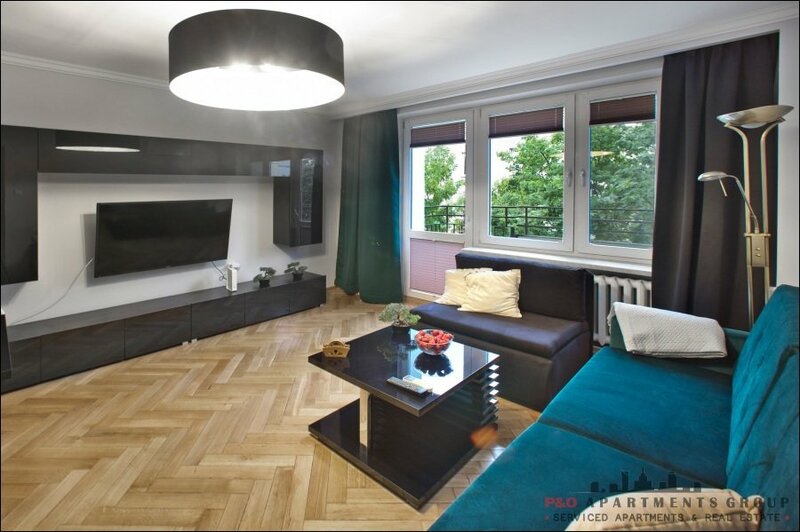 There is also a nicely designed green area. 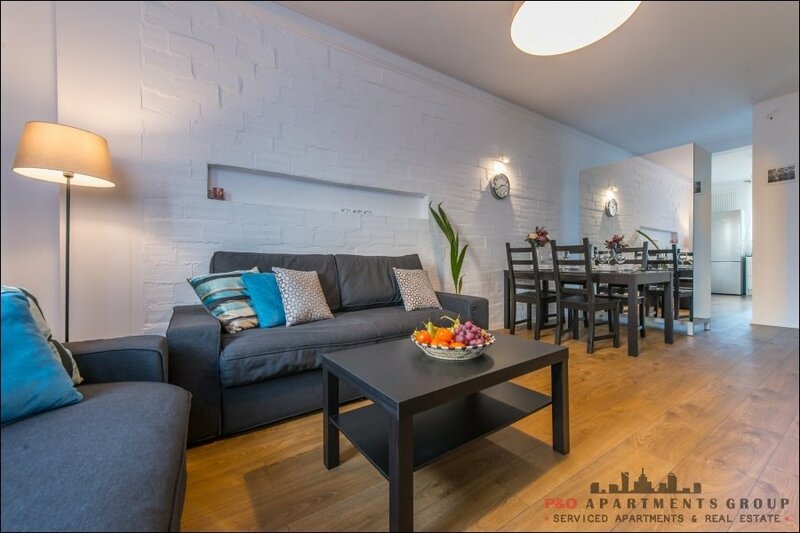 At the bottom of the building you may find a grocery store, coffee shop and a hairdresser. 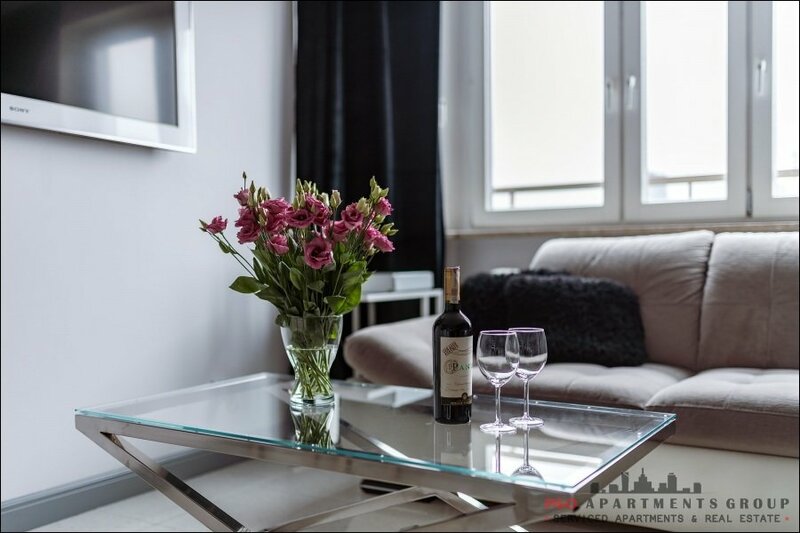 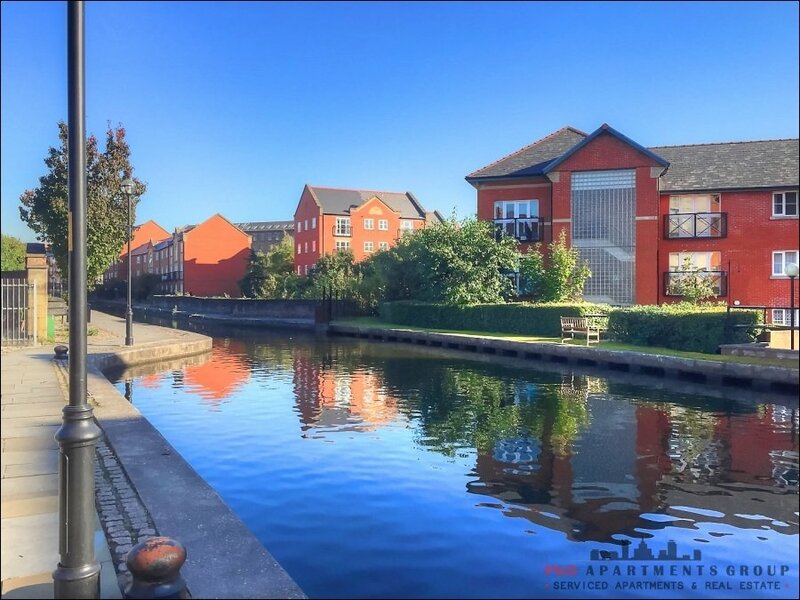 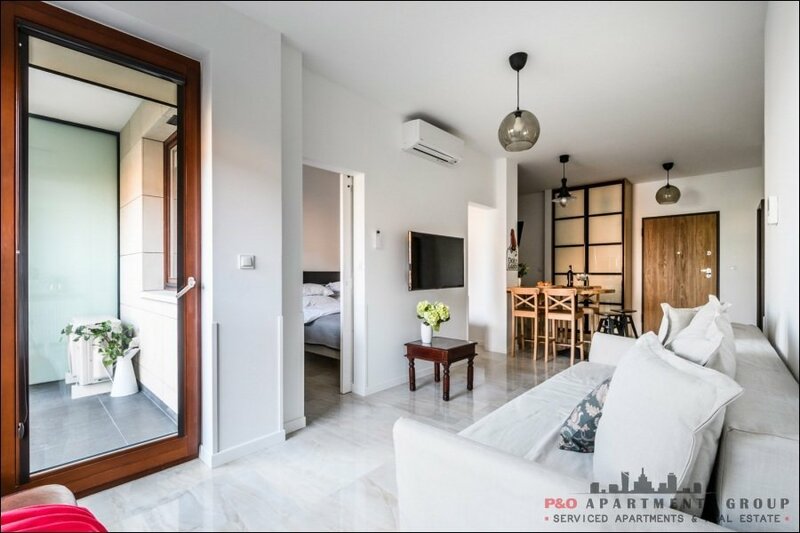 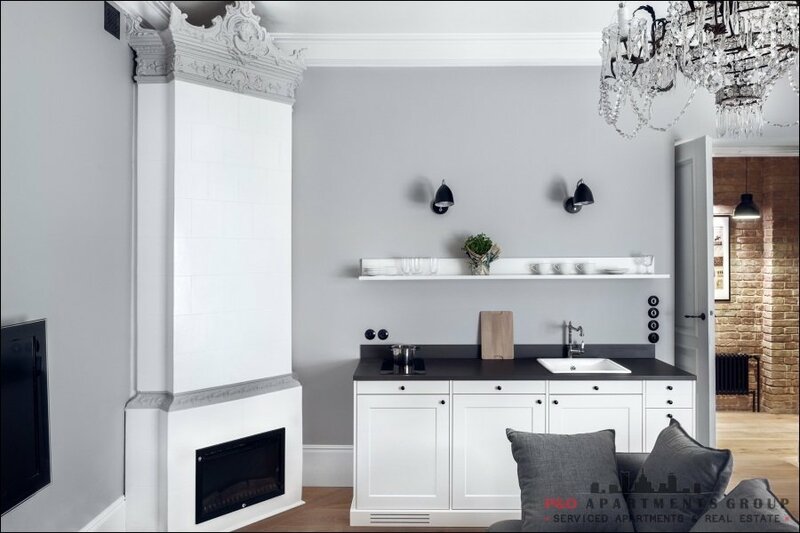 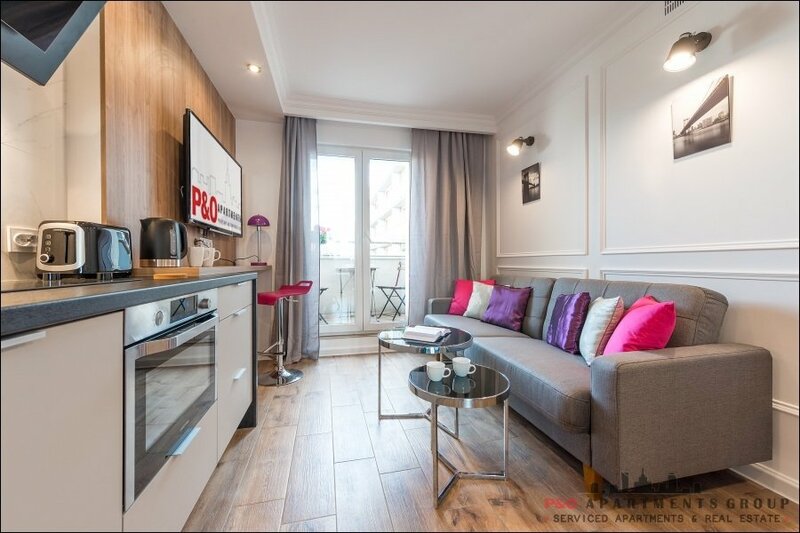 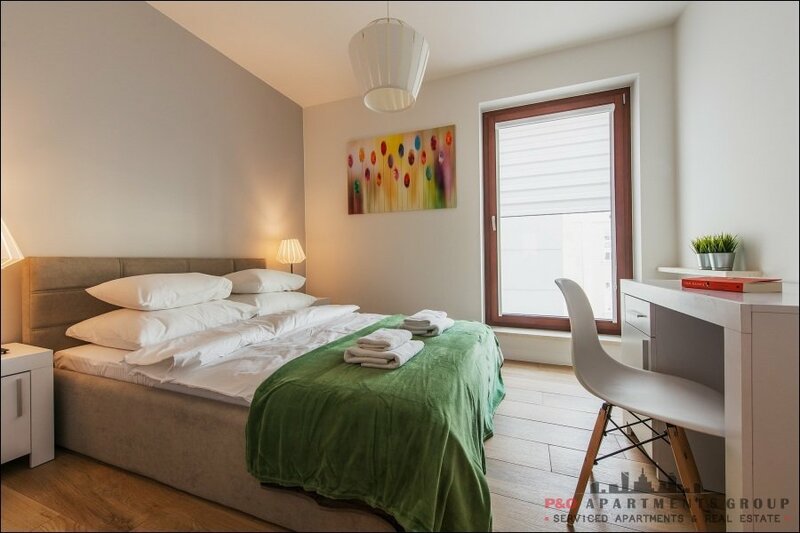 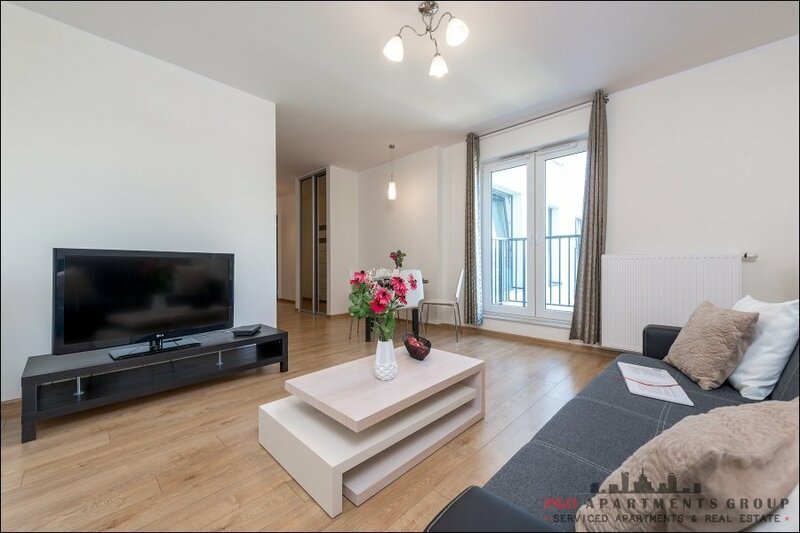 The apartment consists of a living room with kitchenette, bedroom, bathroom and furnished balcony. 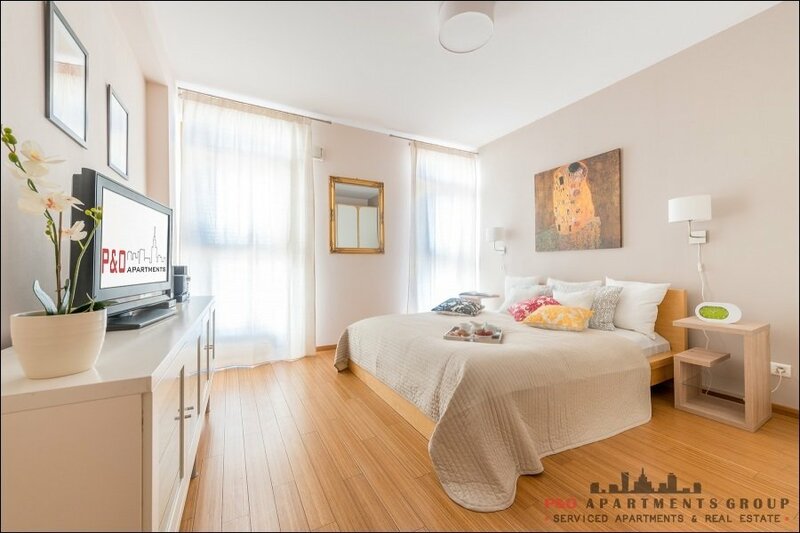 It is air-conditioned and fully equipped with fridge with freezer, oven, coffee machine, washing machine, dryer, ceramic hob, dishwasher. 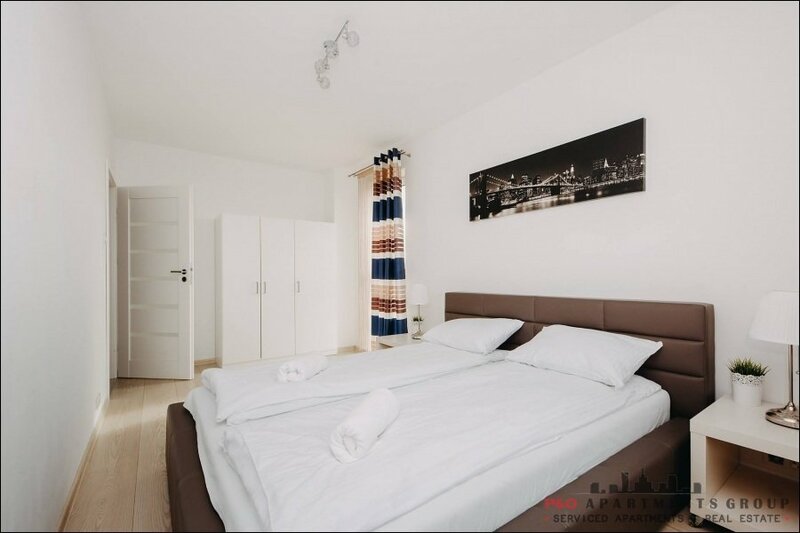 The bedroom has a double bed and comfortable double sofa bed in the living room. 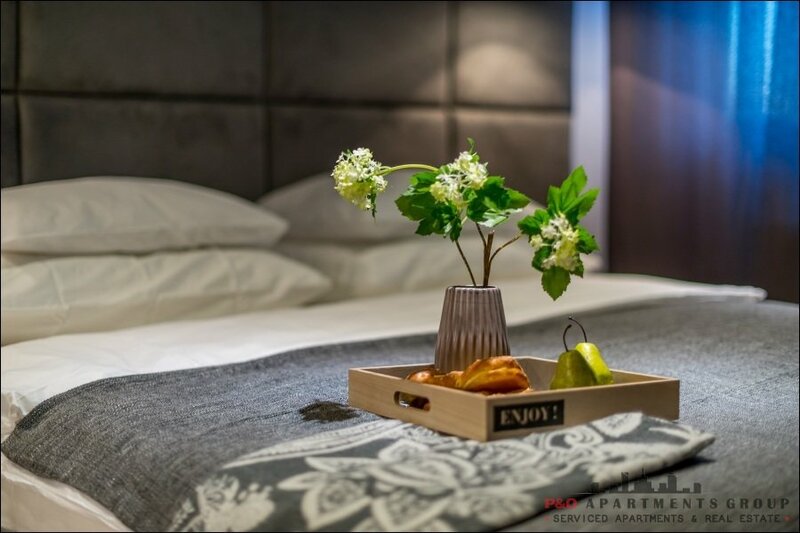 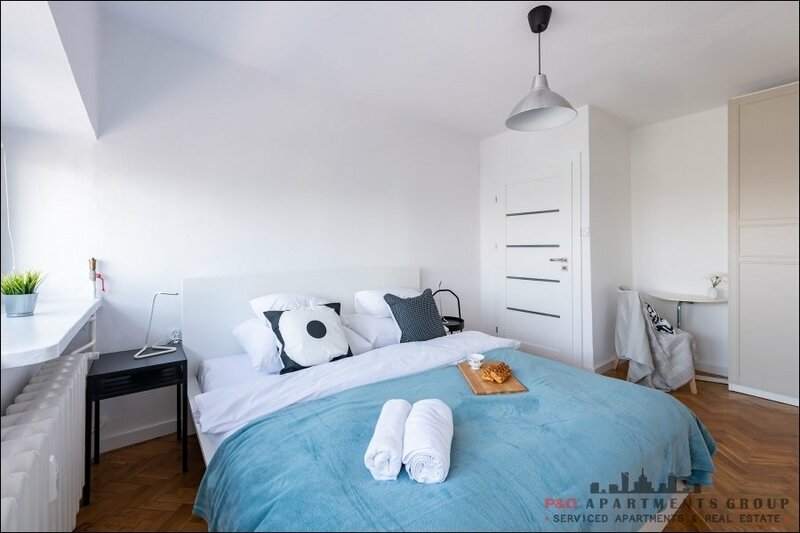 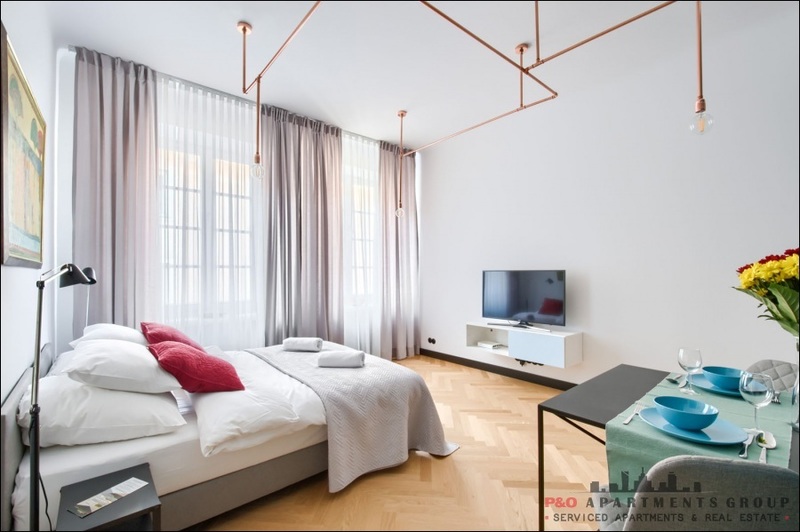 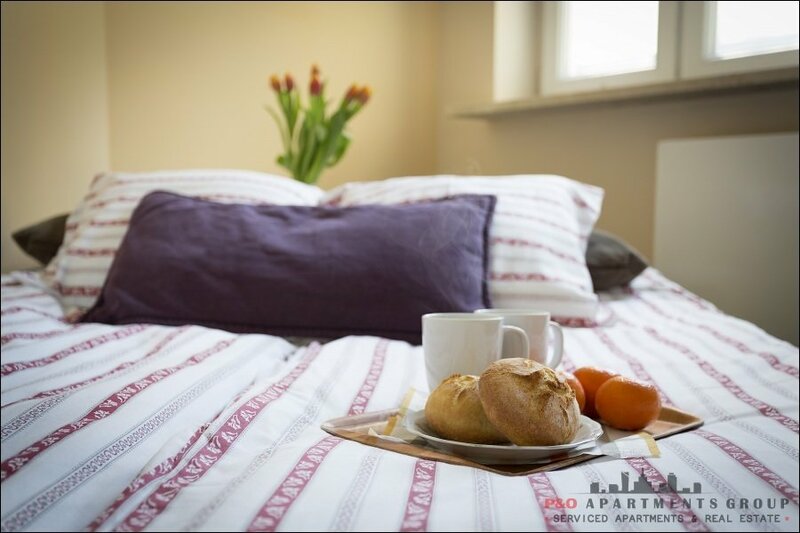 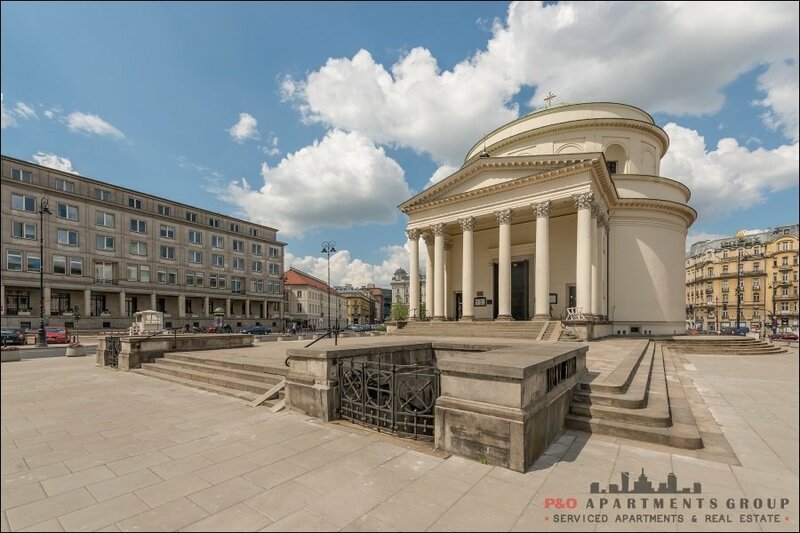 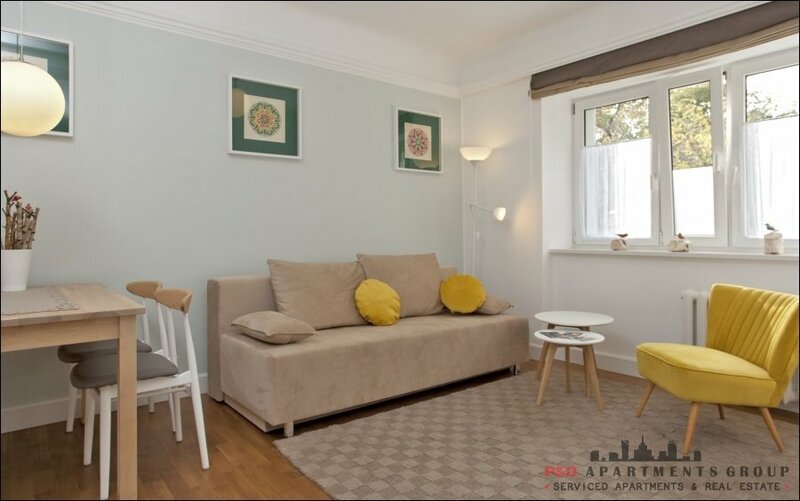 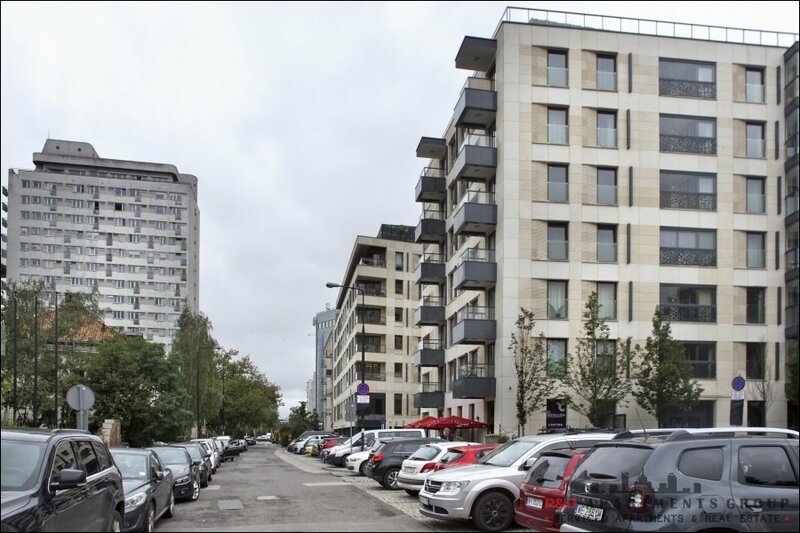 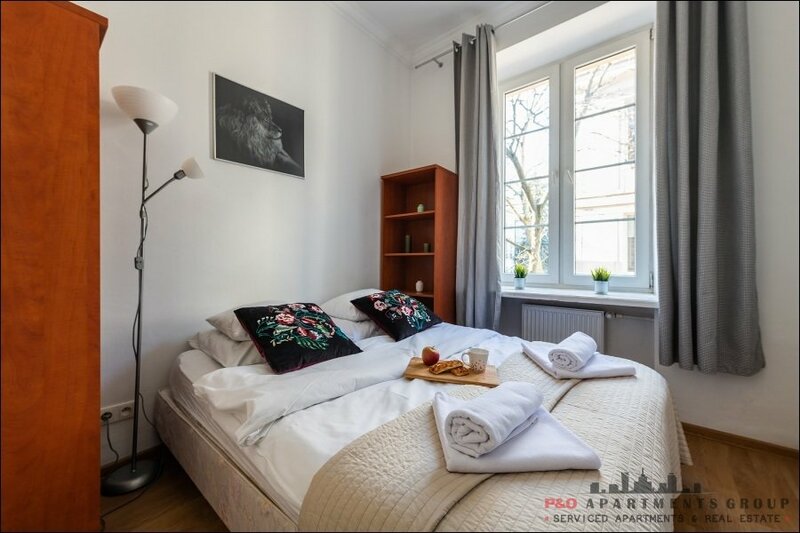 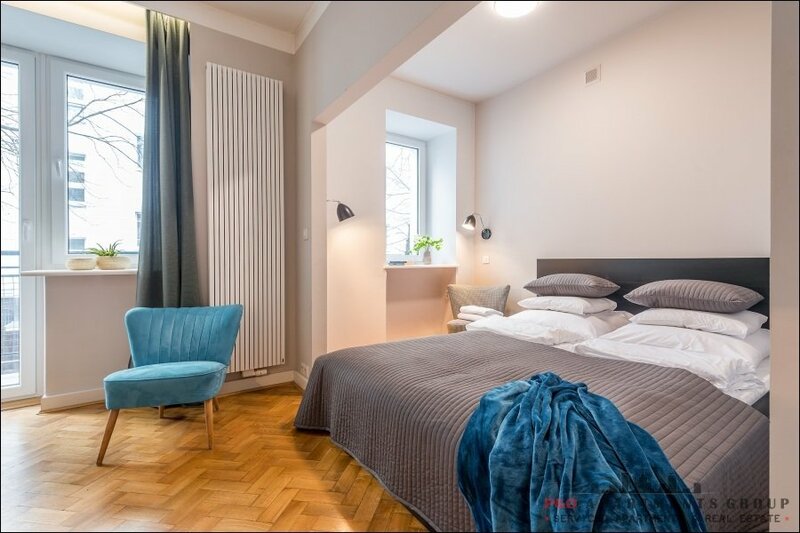 The building is located within a walking distance from the Metro Station Rondo Daszyńskiego (line M2) and is ideal for short tourist stays as well as and long-term business accommodations in Warsaw. 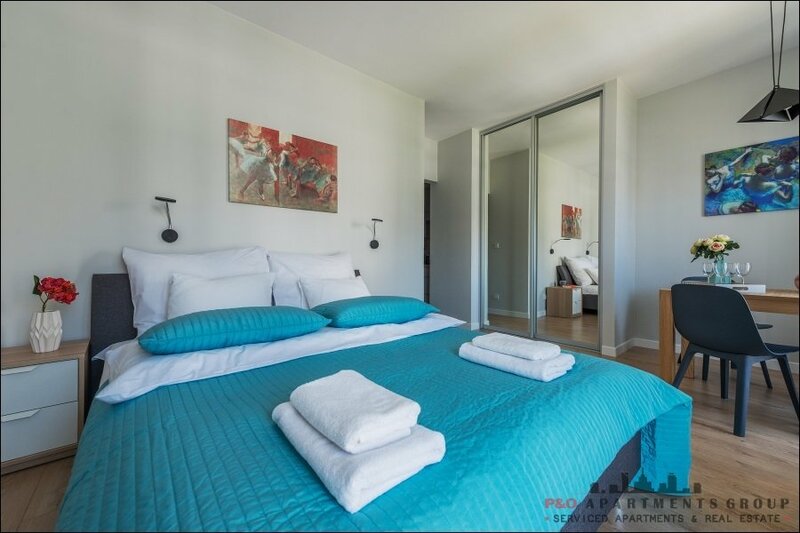 And: hair dryer, iron, ironing board, Wi-Fi access, a set of bed linen and towels, toiletries, vacuum cleaner.